8485 Trenton Falls Rd Barneveld, NY. 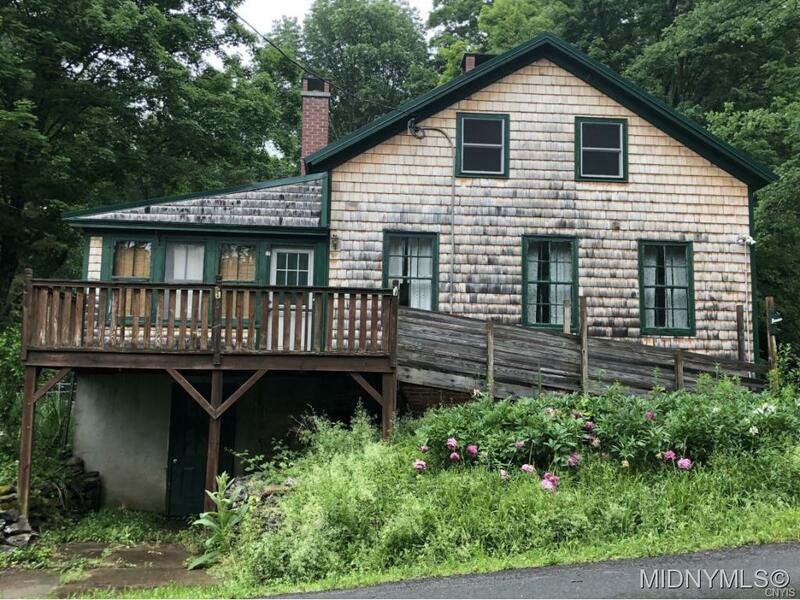 | MLS# 1802681 | Benn Realty LLC -Since 1968, and now with offices in Old Forge and Remsen to serve you better. Nestled on a dead end Rd., this natural beauty overlooks the West Canada Creek from the front porch and sunroom. This partially remodeled, 3 bedroom, 1 1/2 bath also features hardwood floors downstairs, carpet upstairs, dining room w/ wood stove, utility room with washer/dryer, updated electric, updated insulation, newer roof, fenced in area for dog, Handicap ramp, outbuilding with power, Holland Patent school district. Can be used year round or seasonal! Close to Hinckley and Trenton Falls.